At CES 2015 this year we were excited to attend a lunch organized by Techlicious.com and work on a sponsored project to share all of the announcements for Lenovo at CES 2015. I have been following Lenovo’s products with great interest after I saw their first Yoga Laptop come out years ago with multiple form factors ranging folded up as a tablet to a laptop with a keyboard and screen upright. This flexibility is an important feature I look for in devices so I was excited to hear their new 2015 announcements. “The YOGA Tablet 2 8-in has four unique modes: Hold, Tilt, Stand and Hang, Wolfson Master Hi-Fi noise reduction, Dolby audio, long battery life of up to 15 hours and is equipped with two front facing speakers. With Windows 8.1, its 8-in FHD display and Intel® Atom™ processor, users can strike a great balance between work and play. 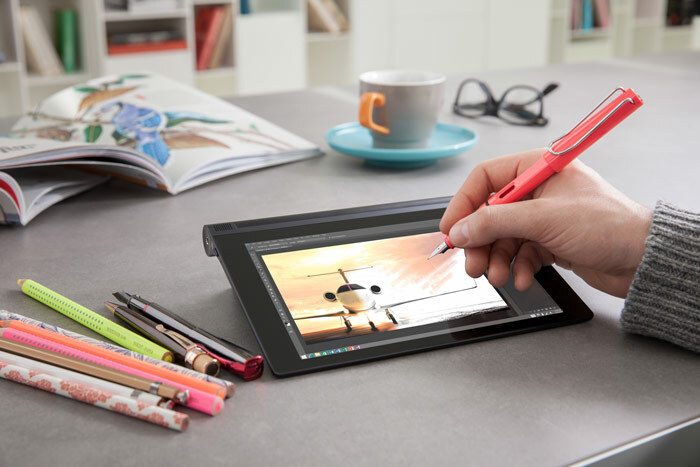 Lenovo AnyPen Technology lets you use any ballpoint pen or graphite pencil—really any thin metal tip. Lenovo YOGA 3 “features powerful up to 5th Generation Intel® Core™ i7 processors, stereo speakers, Waves audio and the classic YOGA two-hinge design allowing 360° flexibility with four special modes – Laptop, Stand, Tent and Tablet. Lenovo refined the hinge to now open and close more smoothly and also allow the screen to lay flat at 180°. “ThinkPad YOGA 12-in, 14-in and new 15-in convertibles with powerful up to 5th Generation Intel® Core™ i7 processors, large storage up to 1 TB , Dolby Home Theatre v4 and new ActivePen technology in select models. Lenovo’s SHAREit app to share files easily between devices. 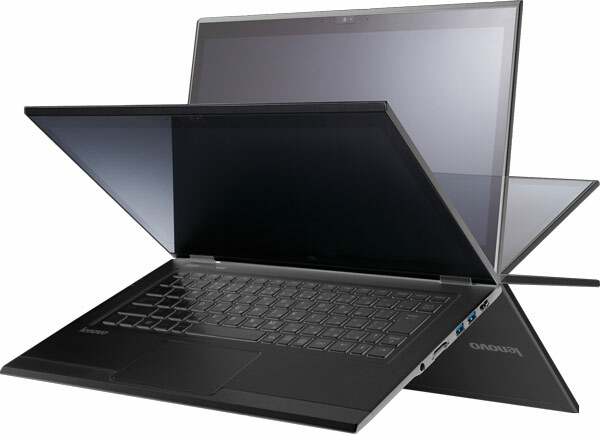 Lenovo’s first 3D camera in a laptop (Built-in Intel® RealSense™ 3D camera) comes optional on the 15-in model. 3D cameras are being used by businesses for more personal video conferencing and scanning small objects for 3D printing applications. The LaVie Z HZ550 13-in laptop PC is just 1.72-lbs. 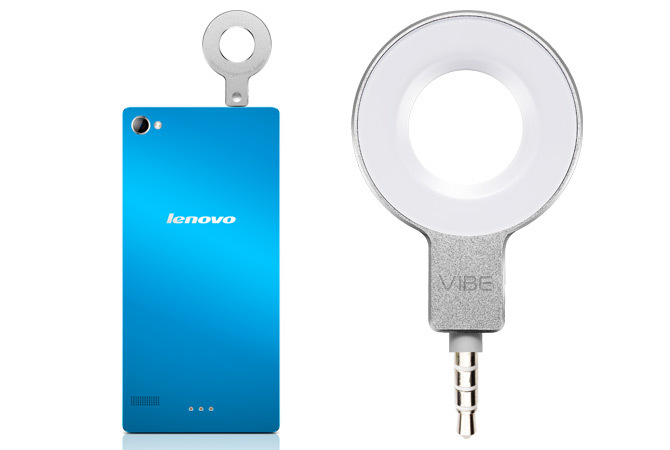 The Lenovo Vibe X2 Pro Mobile Phone was announced with accessories such as the VIBE Band VB10 wearable. 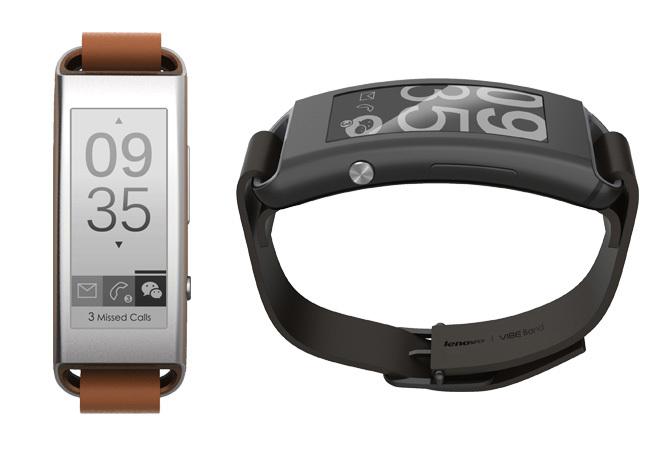 What I found interesting about the VIBE Band VB10 was that it not only has up to 7 days’ battery life, phone–finding feature, 1.43” E Ink display, alerts (phone, SMS, and social notifications), measures fitness (steps, calories, distance, and sleep time) but that it also meets IPX7 waterproofing standard. But one of the most unique was the compact selfie flash listed below.